Lately with Autumn really setting in we have been enjoying doing simple cosy things close to home. Wilf is becoming very much the active little boy and we need to make sure we factor in some outdoor activities for at least a couple of hours a day. I am still very dependant on our Orbit pushchair, especially being that we don't drive. I use the panniers daily to carry for groceries or any extra items we might need for our excursions and it's essential for Wilf's naps if we are out during the middle of the day. There are times however when we know we are not going far (or needing to carry much) that it's nice to leave it at home. 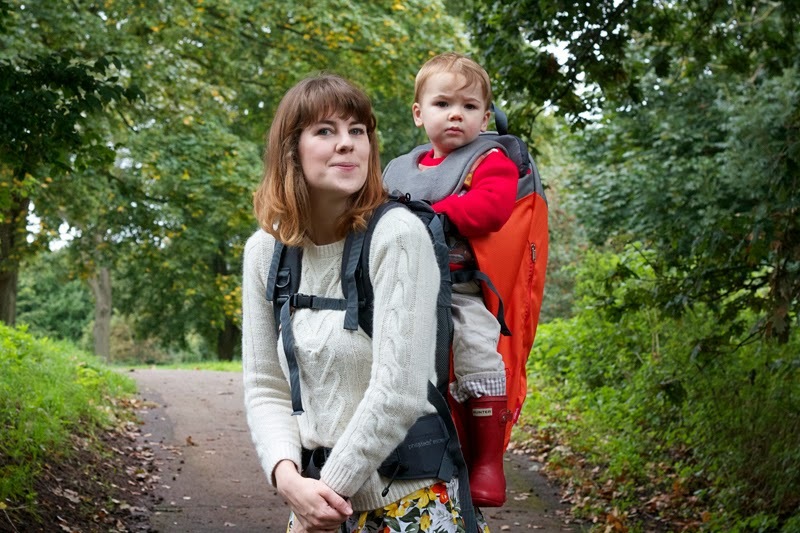 We had been using an Ergo carrier until around six months ago when it just stopped feeling as comfortable. I know lots of people use them all the way up until 3 but I think perhaps it sometimes depends on the child (and their weight!). 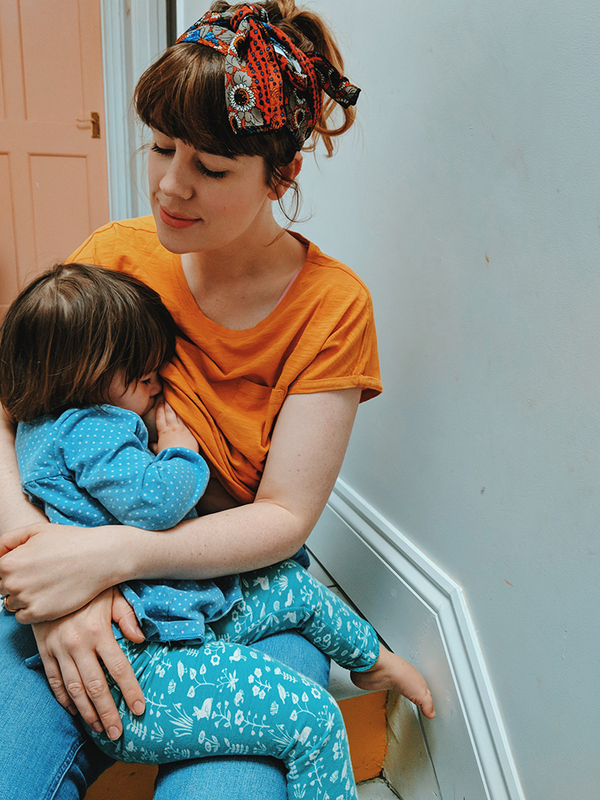 Since then I've surprised myself with getting along with a ring sling, something I had given up on after trying it a few times when Wilf was younger. I'm realising it is much more useful in toddlerhood! I wouldn't consider myself to be any kind of sling expert though and I really wish I knew more about all the different types and their uses. 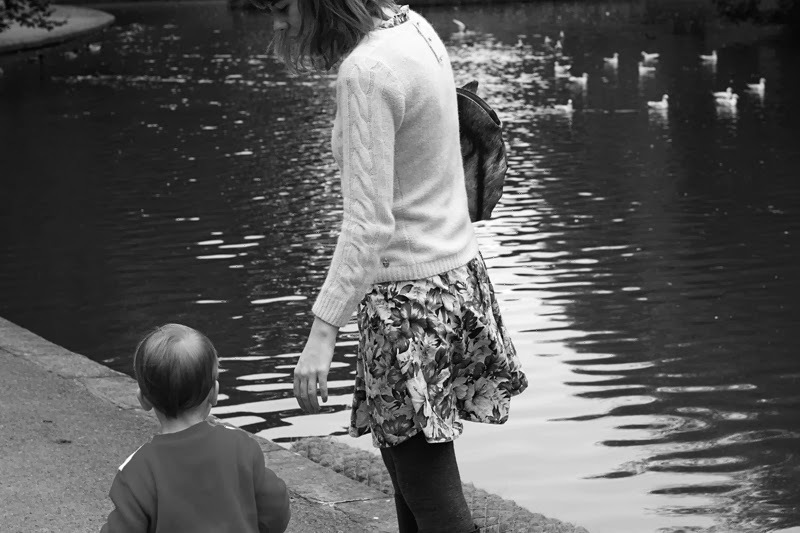 It's yet another thing I felt I didn't get to grips with quite enough when Wilf was younger and now as a 'big for his age' almost two year old I'm not sure I would ever use one for trips longer than our local area. 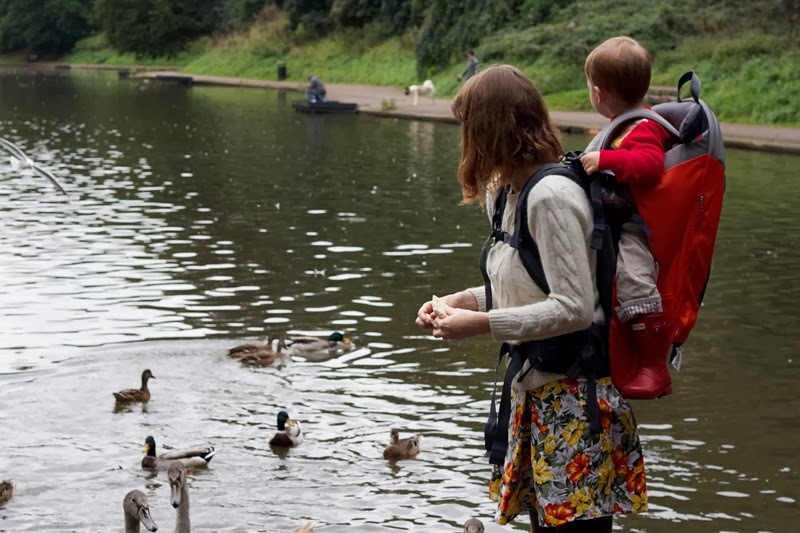 We were asked if we would like to try out this Phil and Teds carrier from Babydino, I jumped at the chance as I'd seen similar carriers and thought it would be great to test one on a little family walk. 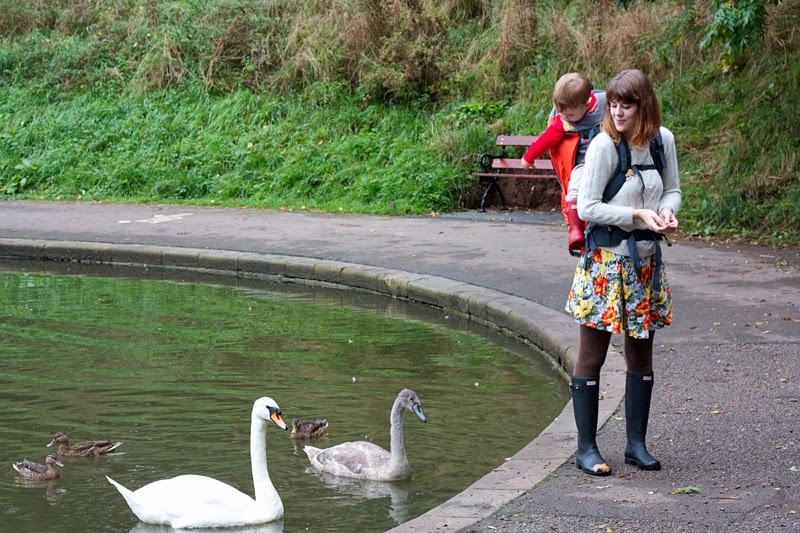 We went to feed the ducks and swans at our local park on Saturday so thought this would be the ideal opportunity to test it out! The design is very simple in as much as you literally just take it out the box and adjust the straps! You can fit your child in it placed in the floor as it has a little stand that comes and folds. I would say it does take a fair while to work out what length it best for you with all the straps and buckles so that the weight is rested on your hips. It did take us a few goes I have to say! The instructions suggest you fill it with tins of food equal to your child's weight to test out which adjustments are best for you but we felt that would a bit too time consuming (plus we didn't have that many tins!). Instead we used Wilf so he got a little frustrated at all the to-ing and fro-ing but that was our fault. The frame isn't as lightweight as smaller sling so it's not something you can just chuck in your bag but it is not built for that kind of purpose more for a off terrain walk. Babydino do actually stock a Phil and Teds 'Metro' carrier which would be better for city use. All in all the carrier is very well made and easy to use, despite Wilf's face in the picture he was actually super comfy! Like all new carriers it will always take a couple of goes before working out what adjustments will suit you and your body shape. 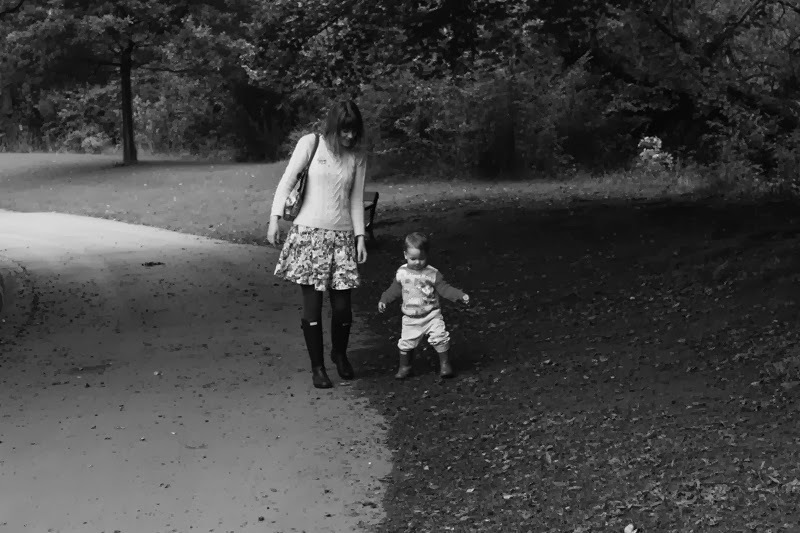 I look forward to using it more in the future as we take more walks in the countryside around us. Thanks Babydino for sending us the carrier! Babydino also offer a buy back scheme meaning if you buy a pram, pushchair or stroller from them they will buy it back from you when you no longer need it. He looks very comfy up there! Love the colour and your wellies. What make are they? Thought so. I have narrow feet and slim calves so I've found it really hard to find wellies that are a good fit. Right, another thing on the list! I only managed to baby wear for 18 months with my youngest as I suffer from scoliosis.I would of loved to been able to use one of these as pushchairs were a nightmare when traveling on trains on buses (I don't drive). Wilf does look so happy up where mummy is. This looks good! I have struggled with baby wearing, I have tried a few types. This one looks good for when they are bigger! 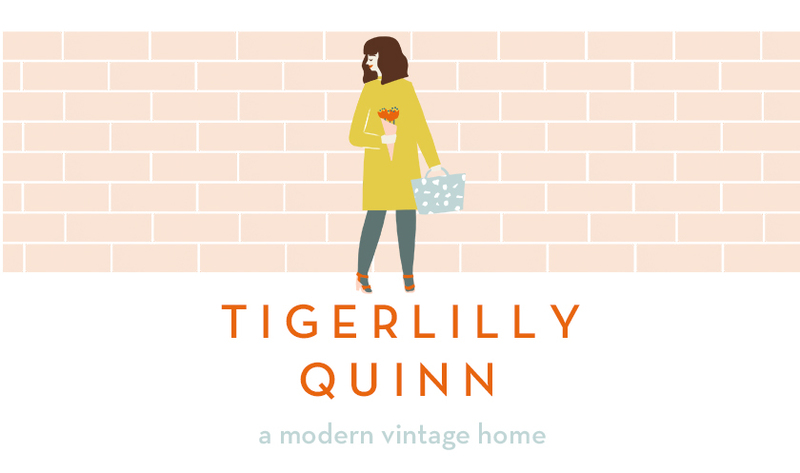 Happy Friday from the Tigerlilly Quinn shop! our weekend in pictures.. Clarks Village!